Spreadsheet calls over the Internet? I like having a spreadsheet around, but until Google came out with their browser-based spreadsheet, I hadn't used one in many years. I find Office too much software, and all the other spreadsheets I had learned either didn't run on my machine or weren't being actively maintained. Without thinking much I had stopped using them. But now I use it for all kinds of little tasks that require an array of values, or a bit of calculation. Now I'd like to start building more of my life around a spreadsheet, to use it to monitor various processes on my servers, but to do this, there will have to be a protocol for plugging web apps into the spreadsheet. It would work just like a built-in spreadsheet function except the call would go out over the net, run the procedure on the indicated server, and display the value it returns, formatted according to how the spreadsheet author says it should be formatted. The server url would include a protocol, server name, port and path. I would recommend doing XML-RPC first, it's the simplest, most uniformly implemented RPC out there. You'd have to do some form of SOAP, and extend REST with standards for serializing and de-serializing parameter lists and returned values (or you could adopt the serialization format from one of the other protocols). Interestingly, this is one of the demos Microsoft did for Multiplan for the IBM-PC in the early 80s when it was competing with Visicalc. Then, it was a good vision, but impractical. Today it's practical and would be very useful and would lead to many interesting apps, perhaps even businesses. "So what?" is exactly right. Imagine saying that the number of telephone calls had stalled at 15.6 million. Or the number of Word docs. Blogs aren't businesses, they're documents, or at best collections of documents. Counting them is an meaningless exercise. Look for individuals who are changing things using blogs, that's what's important. Phil Wolff: "Skype lawyer Seema Sharma emailed blogger Jan Geirnaert Friday afternoon. She told him his popular skype-watch.com and skype-gadgets.com blogs put him in legal jeopardy." 42 people have signed the Mix 07 wiki page so far. Calling a technology a coral reef is the highest compliment I can pay. Here's how the story goes. Scattered throughout tropical seas are coral reefs that started when a ship sank and sea creatures made it their home. Then the predators of those creatures started hanging out, and their predators, all the way up the food chain. Eventually, if the ocean climate was right, a coral reef would appear, much larger than the wrecked ship that started it all. These days they deliberately sink ships where they want a coral reef. It's a little sad for the ship, to be devoured this way. I know how it feels, Radio 8 is hardly used anymore, although I think it's a great piece of software, it got consumed in the flames of people who didn't like RSS, but despite their protests, the coral reef did show up, and now RSS has become a thriving ecosystem. When I develop something new these days, I automatically think of using Twitter as a back-end to connect users of my software. If other developers aren't doing this, I imagine they will soon. And Twitter will beget competitors, and they will have to have APIs if they want to be competitive (Twitter has one) and by now I think they'll have to be compatible with Twitter's to be taken seriously. The role that Twitter is playing is a vital one -- it's a notification system, always-up, and keeping it up is someone else's problem. As a system designer, I'd like to believe that Twitter or something like it will always be there. I'm not sure of that yet, but it seems we're close. I know Microsoft is rolling out the red carpet for them in Las Vegas next week. Not sure I like that, or if I would like it if I were Twitter's owners, I'm suspicious of Microsoft's embrace, after lots of experience. But for me, there's really not much risk, even if MS were to try to eat their lunch, as I said, they'd have to be compatible, right?? We'll have to ask Ray about that. In any case, Twitter is becoming, for me, a coral reef. That's cool. You don't need to use Curl to get stuff from Twitter, you can use a web browser for some simple API calls to see what they return. Try clicking on this URL to see my most recent 20 status messages. Yeah it's XML. Hope you didn't have a heart attack. The docs could be much clearer about this, imho. Another little-known fact, the RSS feeds that provide code updates for all the various components of the OPML Editor now have comments, that explain what changed in each update. I never release a part without explaining it (knock wood, praise Murphy, don't sue me if I don't). Here's an example, the feed for opml.root. Should have done this a long time ago. I'm going to push some Twitter-related updates today, they should show up in that feed. This means you might want to also subscribe to these feeds in your aggregator or feed reader, because they now include human-readable bits. Unless you're a programmer the notes will likely not make much sense, but that's one way learn programming, almost by osmosis. Blogs work in sports too! Curt Schilling: "So for one of the first times this blog serves one of the purposes I'd hoped it would if the need arose. The media hacked and spewed their way to a day or two of stories that had zero basis in truth. A story fabricated by the media, for the media. The best part was that instead of having to sit through a litany of interviews to 'defend' myself, or my teammates, I got to do that here." How many times have reporters proclaimed blogs stupid, irrelevant or dead. Now you know why. They're freaked out because their exclusive access to the minds of readers is in its waning days. Blogs are the reason why. The next step is for publishers to realize that the monopoly is breaking, and to start doing deals with the sources. Here's Schilling's blog. And feed. 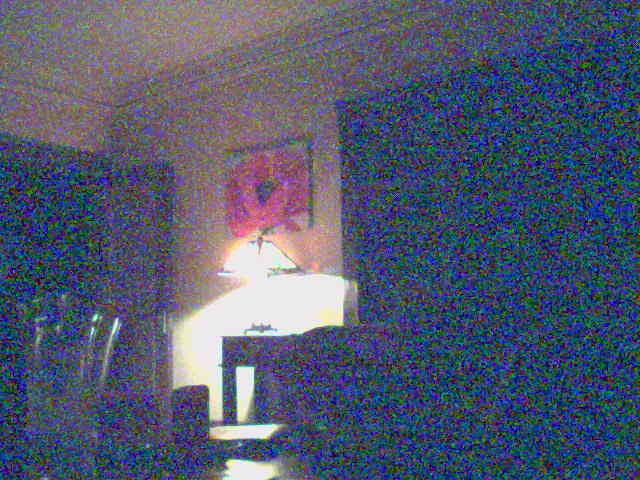 Last update: Saturday, April 28, 2007 at 8:22 PM Pacific.